Climate change poses a significant threat - perhaps the most significant threat - to wildlife across the earth. In response to shifting ecosystems, creatures from sharks to polar bears, bald eagles to salamanders have had to change the way they live. And species at home in the tropics - those already tolerating extreme heats - are often considered particularly vulnerable as the globe warms up. 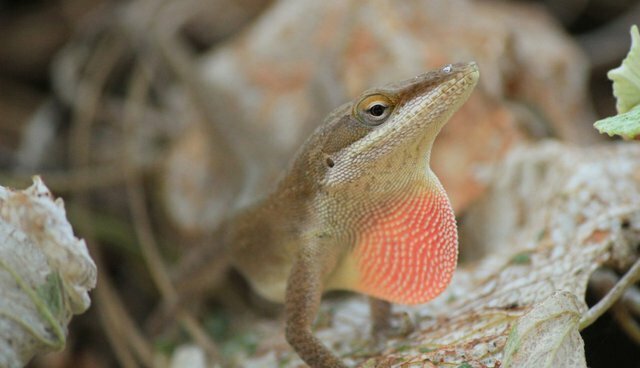 They relocated one group of lizards from a cool forest in the interior of a Bahamas island to a peninsula that experienced hotter, more volatile temperatures. The lizards who were most successful on the peninsula sped up, staying more active in the daylight and having more time to catch food. "We found that not only can human-induced climate change exert natural selection on wild animal populations, but that this selection can be quite strong," states Michael Logan, a researcher at the National Science Foundation and an author of the study. "This means that, if the traits under selection can be passed on from parents to offspring, rapid evolutionary change may be a critically important means by which some animals can resist the detrimental effects of global warming." The swift lizards, the scientists calculated, could compensate for up to 30 percent of a century's worth of environmental change in a single breeding season - if their children inherited this agility. This study in no way should diminish concerns about climate change - it remains to be seen if these quick lizards can pass the speedier traits on to their children, and everyone should be alarmed by the rate at which the earth is changing.